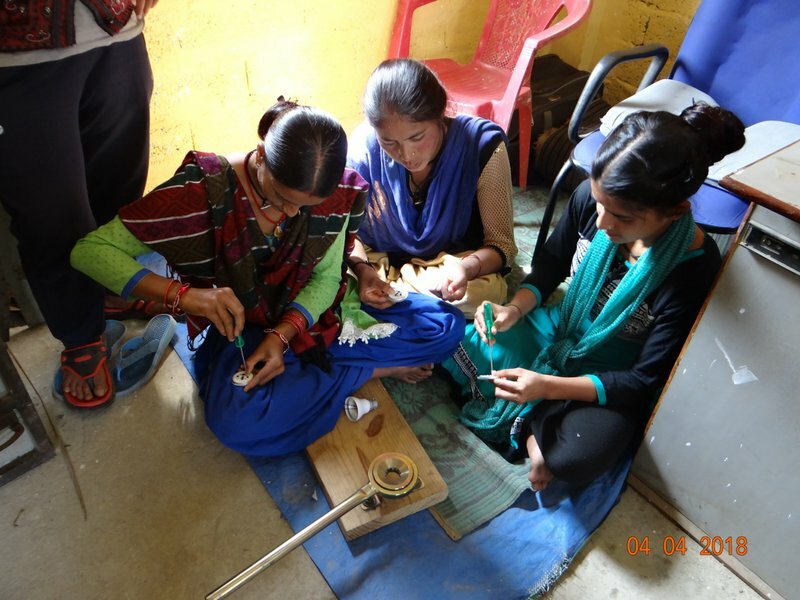 A Regional Round Square Service Project was initiated in Dungri village of Pauri Garhwal District from 1 to 9 April 2018. 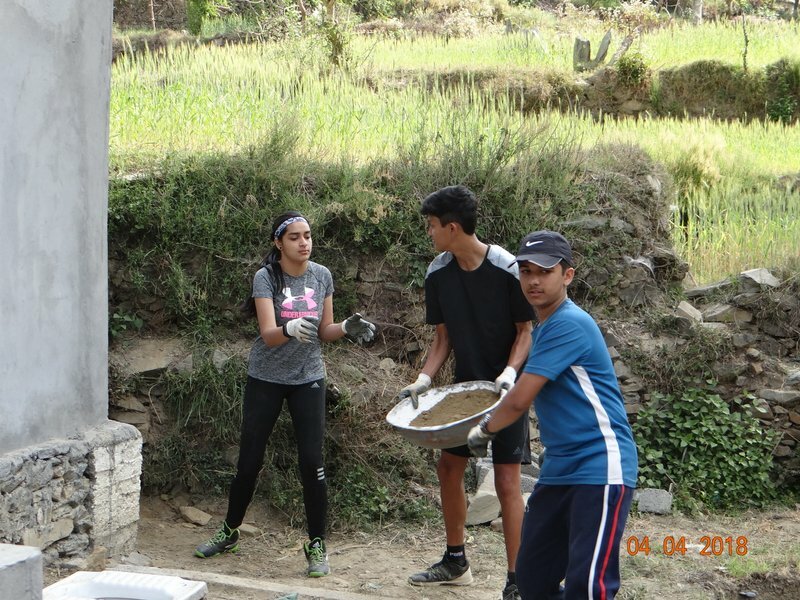 The Doon School Dehradun hosted the project in which students aged 13 to 15 from eight schools from all over the country came together for a noble cause. The underlying idea behind the project was to provide skill development training to enable the villagers to earn their livelihood without migrating from their village. 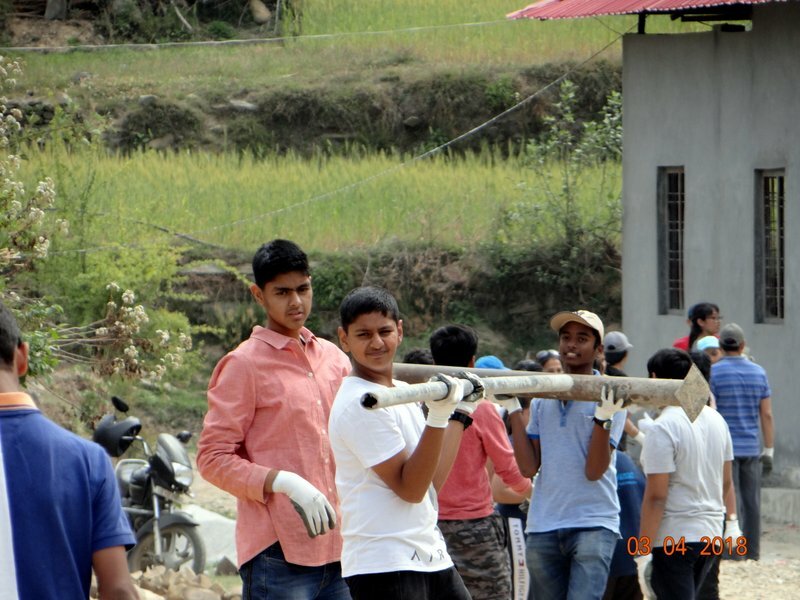 55 delegates from The Doon School Dehradun, Lawrence School Sanawar, Lovedale Tamilnadu, Vivek High School Chandigarh, Emerald Heights Indore, Vidya Devi Jindal School Hisar, Daly College Indore, and Birla Public School Pilani participated with zeal to construct Community Centre. 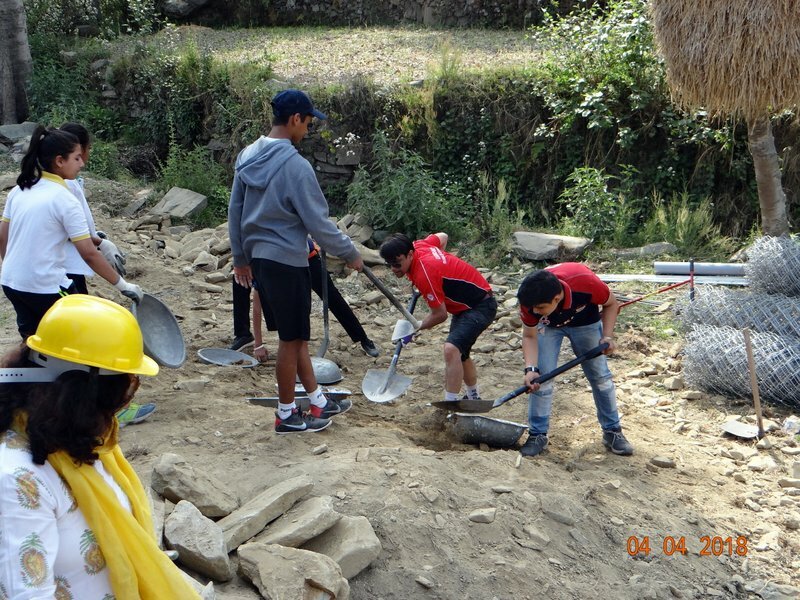 Students carried bricks, dug out mud built walls and washrooms. Sharing his experience Shreyan Mittal from The Doon School said –”We realized the value and dignity of physical labour”. During the nine days project service students undertook exposure visits and obtained firsthand knowledge on the hardships faced by the rural folks. Siya Sabberwal sounded very conserned saying “How can we let our old people suffer in isolation? We must join hands to reduce migration. 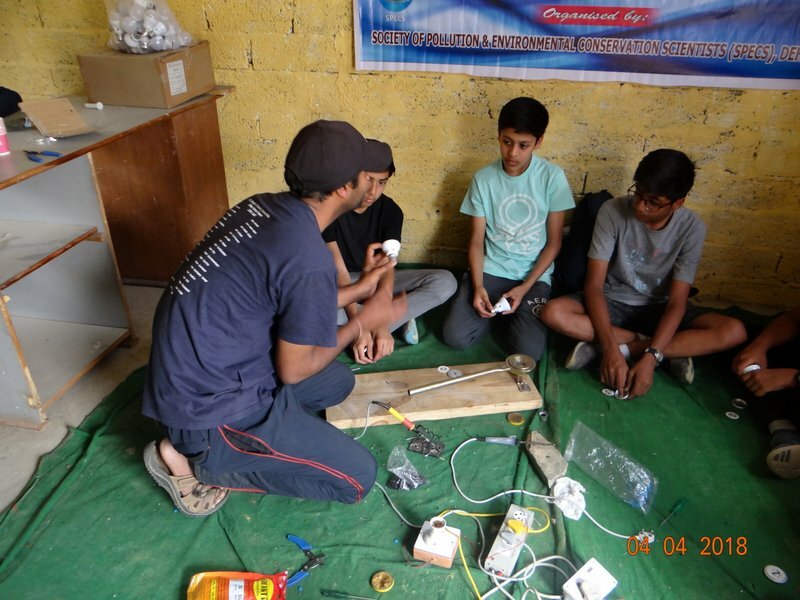 This project also organized a training workshop in collaboration with “Society of Pollution & Environmental Conservation Scientists, Dehradun” for the villagers of Dungri skilling them to make energy saving LED bulbs. 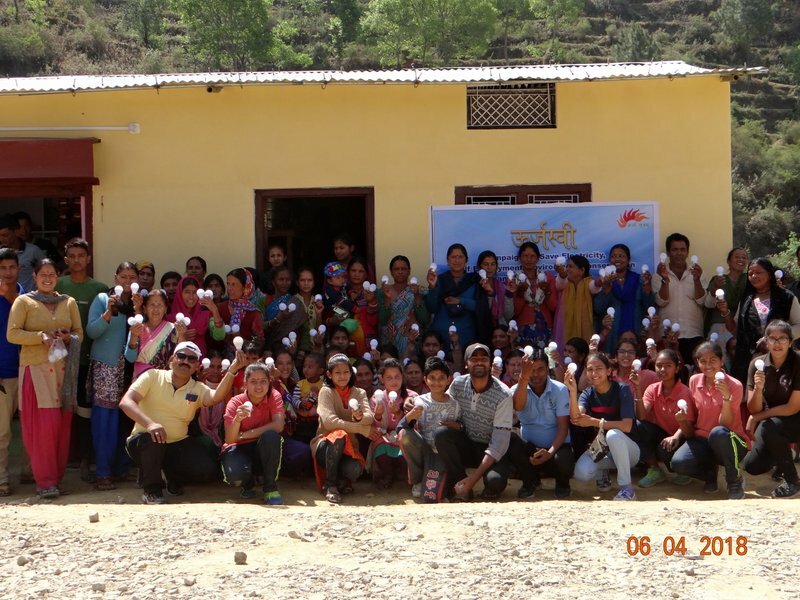 Over eighty villagers made over 400 LED bulbs. The project co-ordinator Mr Ambikesh Shukla opined, “Such service project taps into the possibility and potential of young people solving the socio-economic problems of India”. Besides construction delegates will take over a cleanliness drive of the Idgad Stream, the only source of water for the village by taking out polythenes and non-degradable materials. The team of the teachers comprised of Mr Anand Kumar Mandhian, Mr Pankaj Das (The Doon School), Mr Tushar Guha (Daly College Indore), Mr Kumar Gautam (Lawrence School Sanawar), Mr Manoj Tiwari (Birla Public School Pilani), Mr Rachit (Lovedale Tamilnadu), Ms Deepti Singh Indore), Ms Suman (Vidya Devi Jindal Hisar) and Mr Amanat Bhullar (Vivek High School Chandigarh).